with different abilities, mental and medical illness, and their caregivers. Stay informed! Sign up for our newsletter so you'll never miss out on valuable content. Be inspired by personal journeys and individual stories. Be educated by professional expertise and guidance. Be empowered by navigational tools and planning strategies. Our podcasts cover a variety of topics that will make an impact on your life and that of your loved one. Empower yourself to be the best caregiver possible. The On-Air Advocate offers a variety of classes that will enrich your life and help you create better outcomes for your loved-one or yourself. Dynamic, engaging, inspirational and informative, The On-Air Advocates' Tammy Flynn is sure to engage your audience on care taking, patient advocacy, networking and more. As an entrepreneur and mother of four with over 20 years of experience caregiving, Tammy will entertain and motivate your audience. Follow our social channels so you'll never miss out or subscribe to our podcast. Do you have any show topic ideas, questions, comments or feedback? Thank you for being part of “Choose Kind” Sunday! Please check out our Facebook page for pictures from the day. The On-Air Advocate has taught me that life doesn't have to be so hard. It's about getting out there and educating oneself about the missing piece in everyone's life. Every week you give your audience information about important topics and how they can relate to others and even make things better. It's like you are holding our hands and guiding us to look at life in a better way. PODCAST/FACEBOOK LIVE/YOUTUBE CHANNEL DISCLAIMER: By listening to this podcast/facebook live/youtube channel, you agree not to use this podcast/facebook live/youtube channel as medical advice to treat any medical condition in either yourself or others nor use it as legal advice. Consult your physician for any medical issues that you may be having or your attorney for any legal issues you may be having. This entire disclaimer also applies to any guests or contributors to the podcast/facebook live/youtube channel. 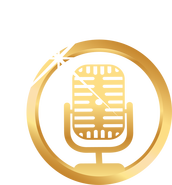 Under no circumstances shall any guests or contributors to the podcast, or any employees, associates, or affiliates, be responsible for damages arising from use of the podcast. ADDITIONAL LEGAL DISCLAIMER: This podcast/facebook live/youtube channel should not be used in any legal capacity whatsoever, including but not limited to establishing “standard of care” in a legal sense or as a basis for expert witness testimony. No guarantee is given regarding the accuracy of any statements or opinions made on the podcast/facebook live/youtube channel. Copyright and distribution info: The contents of the podcast/facebook live/youtube channel are all copyrighted, On-Air Advocate Community. All podcasts/facebook live/youtube channel that are distributed to the public for free can be re-distributed via hard copy or electronic copy for free ONLY if “On-Air Advocate Community” is included as the acknowledged author within the actual media that is re-distributed. Amazon Associates Disclosure: The On-Air Advocate/Tammy Flynn is a participant in the Amazon Services LLC Associates Program, an affiliate advertising program designed to provide a means for sites to earn advertising fees by advertising and linking to amazon.com.